Qantas Points lovers, don’t miss out on the huge offer of 100,000 bonus Qantas Points with the Qantas American Express Ultimate Card. It ends on Monday 6 May 2019! 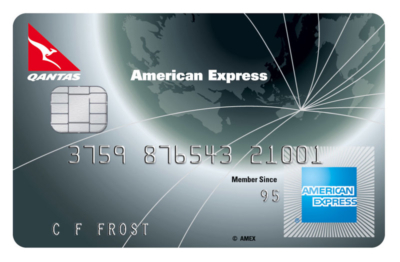 This is Amex’s top Qantas credit card and comes with a stack of valuable benefits including a very strong Qantas Points earn rate on spend, a $450 annual Qantas Travel Credit, four airport lounge entries each year, travel insurance and much more. 100,000 Qantas Points is enough to fly to Los Angeles, Santiago or Dubai in economy return or one way in business class, so it can really help you take off on holiday sooner. Here’s an overview of the card features, with more details and a mobile-friendly application form available on Amex’s website here. You’ll turbocharge your Qantas Points balance by earning 1.25 Qantas Points per dollar spent on everyday purchases – one of the highest Qantas Points earn rates in Australia. You’ll receive 2.25 Qantas Points per $1 spent on selected Qantas products and services in Australia, and 0.5 Qantas Points per $1 spent with government bodies. As a bonus, there’s no cap on how many points you can earn. You’ll receive a $450 Qantas Travel Credit at the start of each card membership year, which fully offsets the $450 annual card fee. The Qantas Travel Credit is redeemable for Qantas flights online via Amex Travel and is very flexible. While you need to use it in a single booking, that can be for one or more people, travelling one way or return, and on domestic or overseas flights. Eligible flights are standard Qantas flights with a QF flight number, so you’ll have plenty of routes to choose from. And you don’t even need to use the Qantas Travel Credit for yourself – you can book a flight for anyone you choose. Relax before your next flight in style, even if you’re flying in economy. 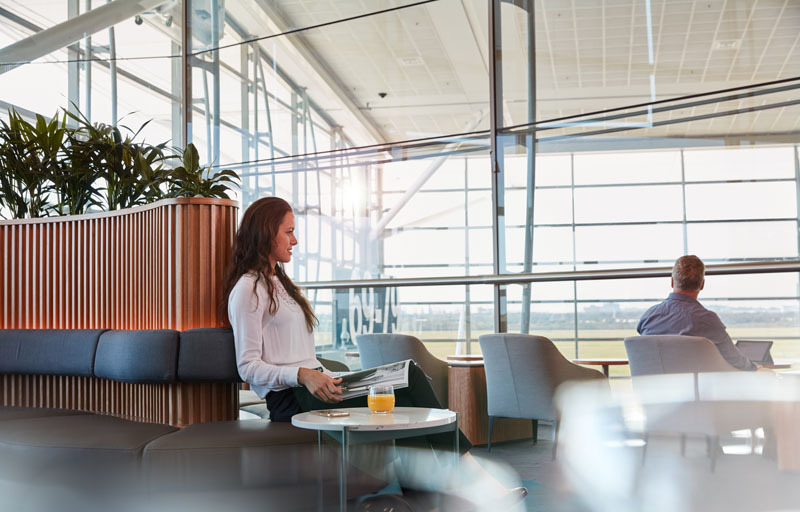 Each calendar year, you’ll receive two entries to the exclusive American Express Lounge at Sydney Airport international or Melbourne Airport international. Simply show your Amex card at the door to get in. 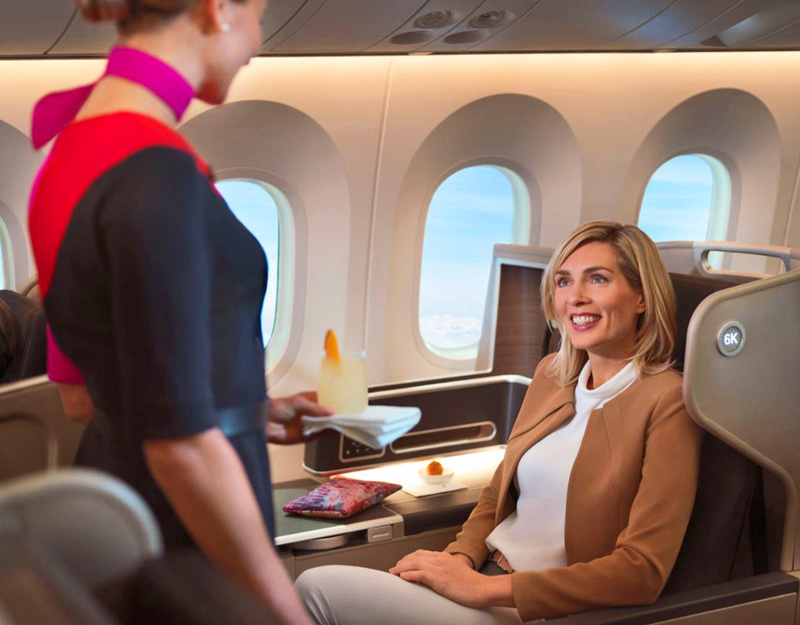 You’ll also receive two Qantas lounge passes (valid for both domestic Qantas Clubs and Qantas International Business Lounges) in each card membership year after your first card spend that year on selected Qantas products and services. Selected Qantas products and services are Qantas flights with a QF flight number purchased with Qantas direct or some travel agents, and Qantas Frequent Flyer and Qantas Club membership fees. You’ll receive an email from Qantas when the lounge passes are activated, which you can then manage (eg. assign to a flight booking or forward to another person) via this page. You’ll receive comprehensive travel insurance cover when you pay for a return flight with your card or use Qantas Points or the $450 Qantas Travel Credit to book. The full travel insurance T&Cs are available to view here. Receive 100,000 bonus Qantas Points when you apply online by 6 May 2019, are approved and spend $3,000 on your new card within the first 3 months. 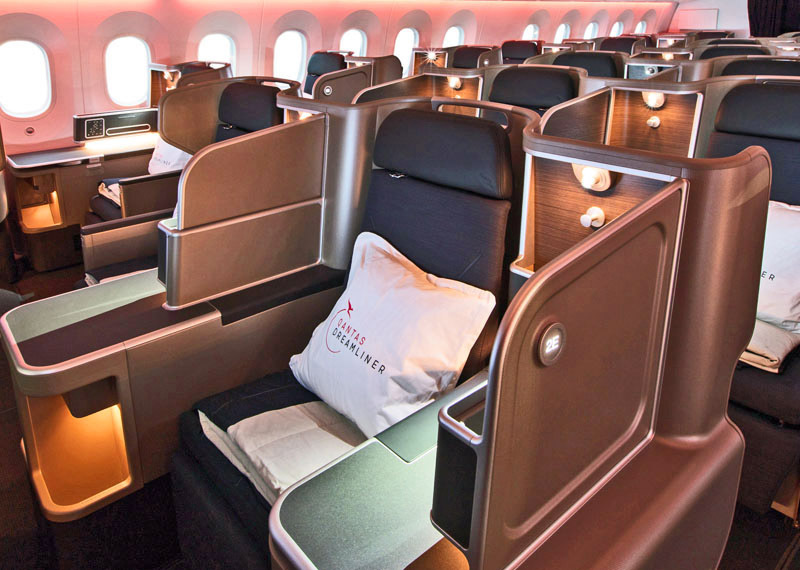 upgrade from economy to business class on a Qantas flight from Australia to Hong Kong or Singapore (50,000 points one way or 100,000 points return). The 100,000 bonus Qantas Points offer is only available to new American Express Card Members. That means you must not have held a card issued directly by American Express Australia in the last 18 months. However, you are eligible for this offer if you’ve held an Amex card issued by a bank (i.e. Westpac, ANZ, CBA or NAB) or if you’re an additional card member on someone else’s account. The minimum income to qualify is $65,000 per annum. This is a great opportunity to boost your Qantas Points balance and pick up a top-quality card with many travel and lifestyle benefits. The huge 100,000 bonus Qantas Points offer ends very soon, so don’t miss out. To read more and apply on Amex’s website, click here (mobile-friendly). Your article says that, in addition to 100,000 Qantas points, Amex offer free travel insurance for the cardholder, spouse, and children under 22. However I followed the link to the full Ts and Cs and Amex says the travel insurance is for cardholder only. Is your article incorrect or am I missing something? Hey Stan, this is a common source of confusion because of the way the T&Cs are drafted. If you look at the definition of Primary Card Member on page 9, it’s defined to include partner and kids. So, all references in the document to Primary Card Member (including the insurance coverage) extend to partner and kids. I’m going to sign up for this card and will be making a purchase from Kogan. Can you confirm whether Kogan is considered one of Qantas’ services and therefore I will earn 1.25 Qantas Points for every $1 spent on Card purchases + 1 additional Qantas Point per $1 spent on selected Qantas products and services in Australia? Totalling 2.25 points per $1 spend? Could holders of the Westpac Amex card which had very similar rewards be eligible? Hi, my husband had this card last year but just cancelled it, I was a secondary card holder on his card – would I be eligible to apply for the card or do I have to wait for 18 months to lapse? Hi Liz, you are eligible for this offer now. Enjoy! Is there a minimum sign-on period for these cards? Eg after signing up, teaching minimum spend, earning points, can you cancel if need be or do you have to keep the card for a designated period of time? Can you confirm if the 100K bonus points are available to current cardholders of the AMEX-issued Platinum card from the Westpac Altitude Platinum Card? The below Points Hacks article said that cardholders were still eligible for bonus points on that card despite having another AMEX-issued card. Just wondering if it is also the case here. It says for new customers who have not been with amex in previous 18months. I had the velocity amex card which I cancelled back in June after having it for a year. Is it 18months since you cancelled or 18months since you signed up if you know what I mean? Hi Emily, you have to wait 18 months from cancelling your card, unfortunately.